I’ve often heard the analogy that right now the United Methodist Church is like two people in divorce proceedings or at least marital counseling. They have irreconcilable differences, a word some folks know from personal experience, others from celebrity gossip news. The UMC is like two parties each firm in their beliefs, and there is no way forward together. We need a better metaphor to talk about the church. 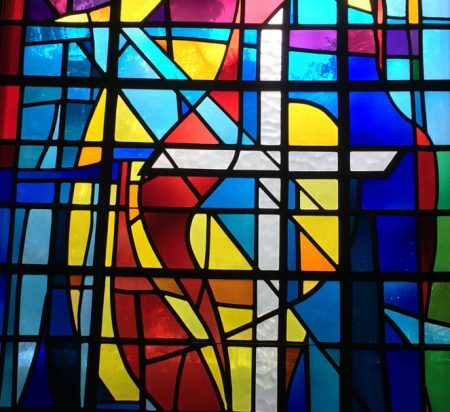 I think of The United Methodist Church like an ailing parent whose children are quarreling over her best course of treatment. This is a familiar metaphor to many. With extended life expectancy, many folks have aging parents, either at home with them or nearby or in a retirement community near or far. Many folks have siblings or other people with which they might quarrel about their care. 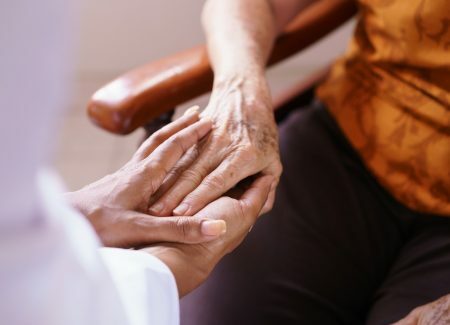 Making the later life and end-of-life decisions about parents is an emotional rollercoaster and often brings out difficulties when there is a difference in desire for a way forward between multiple parties. The church as we know it today is 50 years old. That doesn’t seem old, but the church has changed through merger or schism frequently in our past. It even split 60 years after it began in 1784 to the schism north and south before the civil war in 1844 (and had several schisms and breakaways before that). Various mergers and schisms since then finally settled in 1968, so we are 50 years old this year. The image I set before you today is that the big tent United Methodist Church is an ailing parent. It hasn’t turned a corner towards inevitability, but it doesn’t have the markers of improvement to be covered by insurance either. It has served well the world from whence it came, and it has nurtured each of us in different ways as we grew in our faith. But many factors have compounded over the years, and the reality is that the overall structure is perhaps now too weak to stand. There may be a miracle cure in the coming years, and that is what we should all pray for, but the grim reality is that the church will not be the church we know in the coming years. A path of normalcy is elusive, and like most transitions, the new normal has not yet set in. And we have multiple parties quarreling about the best path ahead. Today, four children are caring for their aging parent, and they each have a different plan of care, each heartfelt and each very different. The first sibling in Christ thinks that their parent would be better if their care was divided among three groups, each tasked with a different kind of attention. The first sibling proposes the Connectional Conferences plan. It divides United Methodism differently: instead of dividing by regions, this would divide us by our beliefs on the inclusion of LGBTQ persons. So we would have a progressive Methodist conference that is open and affirming, a conservative one that is not affirming, and a moderate conference that lets everyone choose their own adventure. Perhaps that’s the way we need to care for our ailing parent: keep the siblings apart, let them live their lives, and only come together for the family reunion once every few years. “Good fences make good neighbors” as the saying goes. The second sibling in Christ wants to keep the family together and wants each of us to grow in our own way. A total middle child peacemaker, she proposes the One Church plan. It keeps our structure, our regional conferences, and allows each region to make their own decisions around LGBTQ inclusion. So Washington State could choose to ordain LGBTQ persons and to host weddings for all people, but Oklahoma may decide not to ordain gay or lesbian folks (but local churches can host weddings for all their members). Choose your own adventure, in a way, and your experience doesn’t affect your neighboring states, just like American states today. The third sibling has had a frustrating life. Probably the oldest, the firstborn, the one most used to enforcing the rules. The sibling has tried for 40 years to keep LGBTQ people out of their parent church’s blessing and leadership. They put language that defines the limits of God’s love in our book of polity. They put in punishments for pastors and for bishops that proclaim God’s love for all people. And in this season of the church, this sibling has decided to say “my way or the highway.” This sibling proposes the Traditionalist Plan that makes the rules so stringent and the punishments so severe that they hope the other siblings leave their parent and never come back. Now, the sibling is willing to give generously of the parents’ possessions to anyone who wants to leave United Methodism. So churches that want to affirm LGBTQ people can take their buildings and their pastors and go. Then the Traditionalist sibling can relax, knowing that gay kids are never born to straight parents. But there’s a fourth option, probably the youngest sibling who is always disagreeing with the firstborn. This one says that the rules making some family members second class are stupid and outdated, as there’s no reason for a wall between apple trees and pine trees. That sibling offers the Simple Plan: No big reorganization of the church, and no different conferences or diversity. Just simply remove all the restrictions based on sexual orientation and gender identity from the Discipline. Removal of those lines means that gay pastors can serve, churches can hold weddings, but those who affirm neither don’t have confessional statements they have to say that affirm it either. It seems progressive, but it just makes space for inclusion as it doesn’t name it directly. So we have these four siblings who each care deeply about their parent, each hold firmly to their beliefs. Because they cannot agree, they put it to a vote in February 2019 that will determine which sibling has the most popular plan. Popular as in the most votes cast, not popular as in the actual votes for the last Presidential election. In the meantime, we continue the work of care for the Church so that their vital organs are nurtured, and their continued presence is known. We continue to baptize, to proclaim the Risen Christ, to seek justice, to invite more people into this wayward, tilting family, because that’s who the Church is and this is what we do. Who will prevail in February? Who will be given authority to care for our ailing parent? The choice is yours. Go and spend time with your family member (delegate) being sent to this family meeting, and encourage them as to the sibling in Christ you most support. And join me in prayer and advocacy for February 2019.